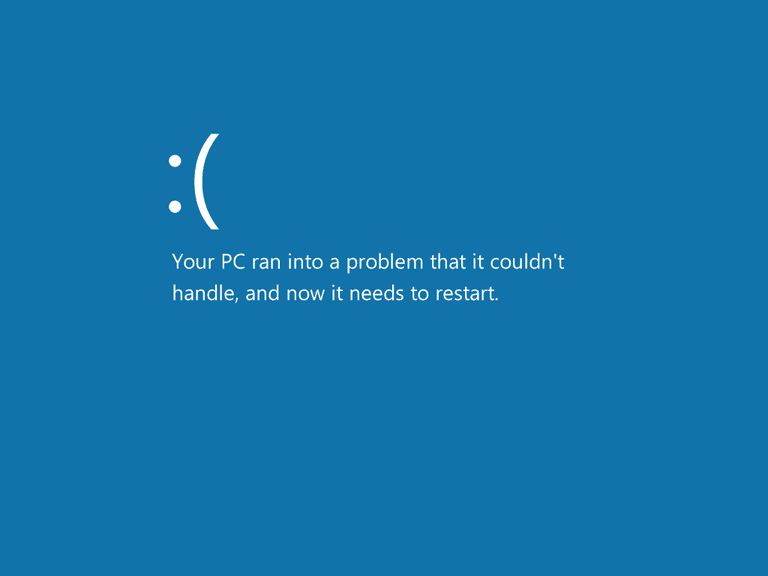 The STOP 0x00000005 error will always appear on a STOP message, more commonly called a Blue Screen of Death (BSOD). The STOP 0x00000005 error may also be abbreviated as STOP 0x5 but the full STOP code will always be what's displayed on the blue screen STOP message. STOP 0x00000005 errors are likely caused by corrupt drivers but it's possible in rare situations that a hardware failure is to blame. If STOP 0x00000005 isn't the exact STOP code you're seeing or INVALID_PROCESS_ATTACH_ATTEMPT isn't the exact message, please check my Complete List of STOP Error Codes and reference the troubleshooting information for the STOP message that you are seeing. Restart your computer if you haven't already. The STOP 0x00000005 blue screen error may not occur again after rebooting. Update the drivers for any hardware you've recently installed drivers for, especially if you suspect they didn't install correctly or may have been damaged. The 0x00000005 BSOD usually implies some sort of issue with the installed drivers for a device so don't skip this step if it applies to your situation. Reset any customized hardware settings in Device Manager to default. Incorrect manual changes to a device's settings have been known to cause 0x00000005 errors. Completely reinstall any programs you've recently installed, assuming the 0x00000005 BSOD appeared soon after the installation. You may need to start Windows in Safe Mode before you'll have enough access to your computer to reinstall the program in question. Install Update for Windows XP (KB887742) but only if you're seeing a 0x00000005 BSOD and you're also running Windows XP SP2. This update replaces your computer's existing copy of HTTP.sys to solve the 0x00000005 BSOD when it's being caused by an issue between this file and certain installed antivirus and firewall programs. Try an automatic Windows repair if nothing up to this point has worked. The details differ depending on your operating system but, in general, this involves starting a special diagnostic mode of Windows and letting it try to solve the root cause of the 0x00000005 BSOD for you. Perform basic STOP error troubleshooting. If none of the steps above solve the 0x00000005 BSOD error you're getting then check out this general BSOD fix-it guide for some more, albeit less commonly helpful, ideas. Reinstall Windows from scratch. As a last resort, assuming you haven't been successful with any other method, "clean" installing Windows should do the trick. While reinstalling Windows isn't the solution to 100% of the 0x00000005 problems out there, it's likely to help in this case because these types of BSODs are almost always driver or software related, not hardware caused. Please let me know if you've fixed the STOP 0x00000005 blue screen of death using a method that I don't have above. I'd like to keep this page updated with the most accurate STOP 0x00000005 error troubleshooting information as possible. Any of Microsoft's Windows NT based operating systems could experience the STOP 0x00000005 error. This includes Windows 10, Windows 8, Windows 7, Windows Vista, Windows XP, Windows 2000, and Windows NT.